The Lutzie 43 Foundation is hosting our Fourth Annual Road Race at Lassiter High School’s Lutzie Field in Marietta, GA on August 4th! 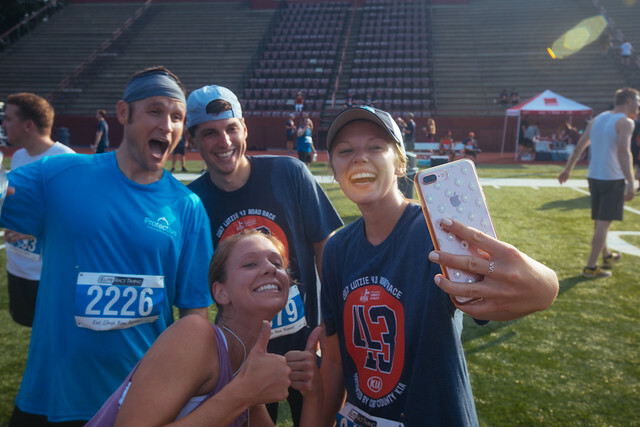 If you can’t make it out to Lutzie Field on race day, you can still support the Lutzie 43 Foundation by registering to run the race wherever you choose. You can be a part of our team of runners, walkers and furry friends alike by sporting your official race day t-shirt and running in your neighborhood, park, favorite trail or treadmill anywhere across the world! To make it even more fun, recruit your friends and family to join you and create a road race team from your own location! Runners that choose to participate from another location will receive the official race t-shirt in the mail. Off-site runners will register the same way they would if they were running the race on the official route, except they will choose the virtual runner registration option. Running from a cool location? Don’t forget to take a selfie or team pictures and share your photos with us on Facebook, Twitter and Instagram! Use the #LutzieRoadRace hashtag so we can see where you ran and for a chance to be featured on our social media!